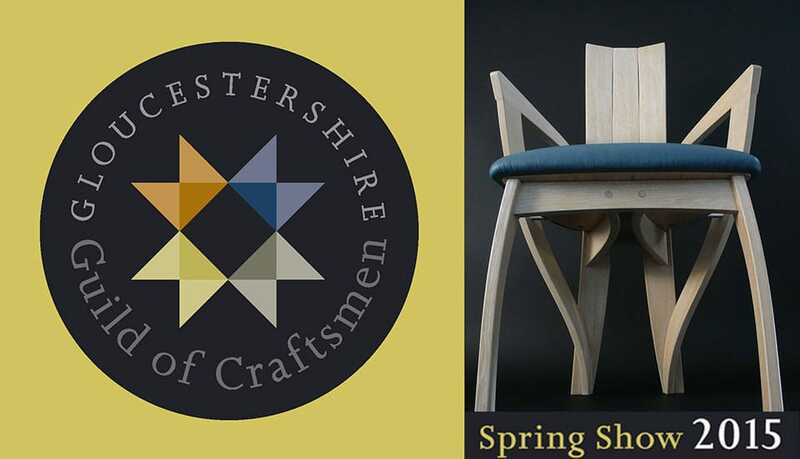 The Gloucestershire Guild of Craftsmen’s Spring Show 2015 took place in the picturesque setting of Tetbury Market House at the centre of this lively Cotswold town. The exhibition was open daily 10am to 6pm with demonstrations of craft skills by designer-makers every day. The Guild’s members are amongst the top craftspeople in the UK many with international reputations. This is an opportunity to see, buy or commission their work and meet twenty professional designer-makers including two of the Guild’s newest members. Jeweller Harriet St Leger is inspired by flower and leaf shapes and has been experimenting with the unusual colour effects of enamel in reaction to copper while furniture maker Graham Ikin designs and makes furniture using locally sourced and sustainable timbers. Furniture maker John Jacques who will show his ‘Flow’ garden bench and ‘Blooming Flower Table’. 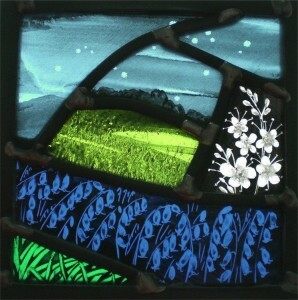 Annie Rie’s stained and painted glass pictures provide a memory in miniature of the Cotswold landscape, its colours and textures. Liz Lippiatt’s luscious devore fabrics have a much wider inspiration – her most recent design, ‘mountains of Guilin’, was developed following a recent visit to China and is now fashioned into jackets, scarves and wraps. Many of the makers contributed to a special section inspired by the English country garden.Work included , leather worker, weaving, textiles, , furniture ceramics, stained glass, baskets and prints .